Startup Iceland - Building a vibrant, sustainable and antifragile entrepreneurial ecosystem in Iceland - How do you achieve your goals? 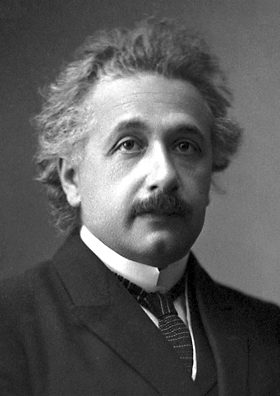 English: Albert Einstein, official 1921 Nobel Prize in Physics photograph. I have been blogging since 2004, not as active as I have been since 2011. I believe blogging or writing is an extremely positive and leverage activity. I used to take notes in school and I have always wondered why do we take notes, because what is being taught in the class is in the books and other reference material. Doing some digging I found out that writing is a neuromuscular activity that enhances your focus. Even more positive aspect of blogging and writing about goals and ideas, helps you focus on those goals and ideas subconsciously. I actually have done this exercise and it has paved really positive results for me. I would encourage anyone to start a blog, you don’t have to make it public but have one and document your journey. There are some psychological studies where the difference between keeping a diary vs. journals have been studies and the conclusion is that diary keeping is not such a positive activity. I don’t want to go into the psychology of this, but just putting down what you are thinking and trying to clarify your thought and getting your network to validate what you are writing about is an upward spiral of personal development in communication and leadership. Startup Iceland Blog was started by me because I wanted to learn about Entrepreneurship, Leadership and Building an Antifragile and Sustainable Startup Ecosystem in Iceland. I have written about this before as well, if you want to learn something teach it and then your whole perspective changes and learning becomes a lot more fun and memorable. My colleagues at GreenQloud were going through a lot of their old business plans and write ups while we were preparing to move the office and we came across a writeup that they had done about their vision. They were surprised how many of the things that they had written about they had accomplished. I was not surprised. I am not a big fan of writing business plans but the process of planning and taking notes on your thinking is a very important exercise. With the Lean Startup and Business Model Canvas methods, you can focus on the most important things while you startup but what is more important is to write about your vision, where do you want to go with whatever you are planning to do. How are you going to execute on that vision? what resources do you need and how do you envision the path. These are important things to imagine. It was Einstein who said that “Imagination is more important than Knowledge”, I think I know why he said that, our knowledge of things are limited where as we can imagine a whole lot of things. Entrepreneurship is about bringing all of that together, your imagination, your discipline to execute and your perseverance to follow through and not quit seasoned with a dash of luck. For those who have walked this path it becomes a lot clearer, it is not the path is any easier but the habit of doing it makes it so. If you don’t have a blog, start one. Every company has to have a blog and allow everyone in your team to write about what they do in the blog. It could be as simple as writing about How to use your service or product. It will lead to great benefits. I am a big fan af both blogging and goal setting, I have tried to take some time each month to work on both.